Does your child love animals? 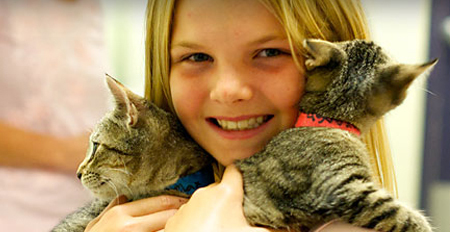 The CASPCA summer camp is for rising 3rd-6th grade animal lovers. The one-week camps are from 9AM-3PM, Monday through Friday at the CASPCA. Each session consists of 20 campers and two camp counselors. Camps consist of animal-related educational activities, animal interactions, visits from special guests, fun animal-themed crafts and more.